SnapCacklePop: Beyonce Sings National Anthem Live to show she can..! 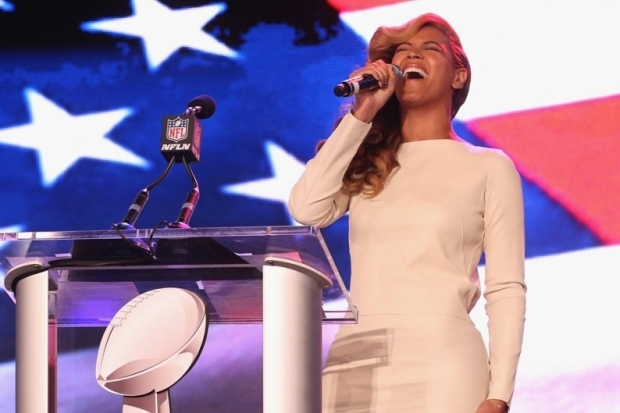 Beyonce Sings National Anthem Live to show she can..! After Beyonce admitted this week that she lip-sync at President Barack Obama's inauguration, she can come fighting back by singing the United States National anthem at Super Bowl press conference. Beyonce is performing at the Super Bowl's half time show, which Madonna did last year and pulled a whopping 111million viewers, the biggest in TV history. Rumoured to feature a Destiny's Child reunion, we reckon its going to be a touch down for Queen B. Check it out below..!